Have you ever wanted to Travel to a destination where you find a rich culture & history, delicious street food, museums, and of course shopping? 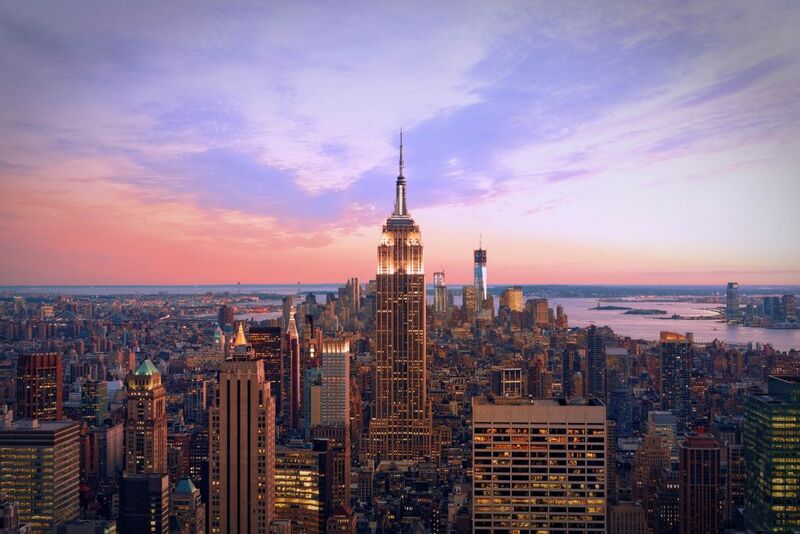 If your mind is saying yes, then get to the nearest airport and catch the soonest flight to New York City because New York City is one of the most amazing cities in the world where you can fulfill your dreams! We all know that New York is the 2nd most expensive tourist destination on the planet after Dubai. But what if we tell you that New York is actually a surprisingly attractive destination for budget travelers. 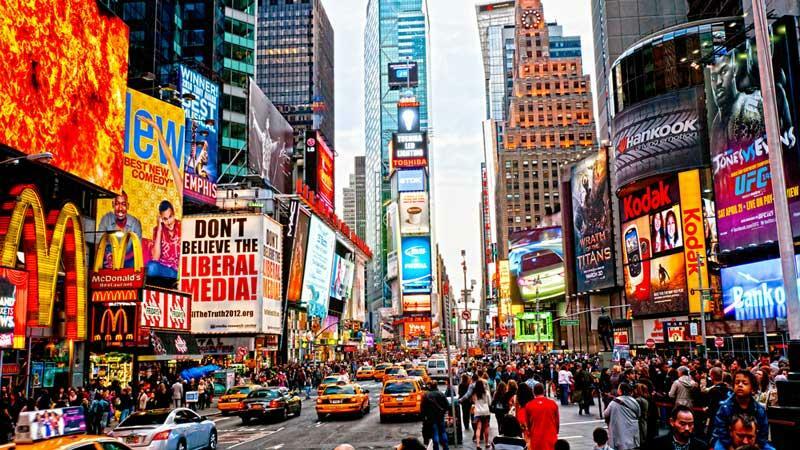 When you think of New York City, aka the Big Apple, you usually think of a sprawling metropolis full of tall skyscrapers or the congested sidewalks with hordes of shoppers in the world famous designer stores where even celebrities shop. But there’s an easy way to bring the cost of a holiday in New York down to your budget. Let us share some tips and tricks for taking in the best that this city has to offer without compromising your budget. New York offers a generous choice of airports and budget airlines, so booking a low airfare should be easy here. For better rates, book your tickets in advance. Note that New York has more than one airport, so be sure to check whether your flight is to/from JFK, Newark or La Guardia. The best time to get a cheap flight deal to New York is late winter and early spring when the city is at its quietest. You might think that finding cheap hotels in New York City would be extremely challenging. However, it’s possible to find great New York budget hotels for as low as $80 per night for a clean, comfortable hotel room. And, there are many other options besides hotels, including homestay options like Airbnb, Couchsurfing and backpackers’ hostels for budget accommodation. Here’s the most important money saving thing you could do is take advantage of one of the world’s most extensive and inexpensive subway systems New York have. We admit that New York is a great city to walk around, but it’s big, so the best way to get around is on the subway. It runs 24 hours a day, seven days a week and costs merely $2.75 for a single journey or $31 for a seven-day MetroCard, which gives you unlimited subway and bus journeys. Meanwhile, you can also use the legendary yellow cabs. New York is known to be one of the best places to eat in the world. Here you can easily get delicious food without breaking the bank by doing some careful planning. 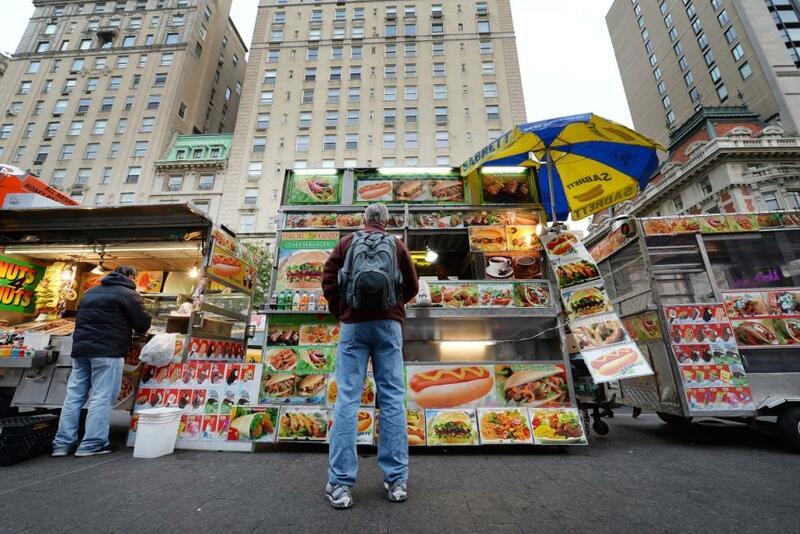 Hit the road for street food where you can find familiar hot dog carts and food trucks around the city. And yes, you can’t return from NYC without eating bagels. List out the places that you want to see by neighborhood so that you visit one area of the city each day and explore all major attractions in that area (For example, visit the Statue of Liberty and Wall Street one day, and Central Park and Times Square another day). This will help you make the most of your time and save you money on subway and cabs. What makes New York so great? It is its atmosphere, and you can soak it up for free just walking on the city streets. There are many places you can visit for free, like Times Square, the New York Public Library, Grand Central Station and St Patrick’s Cathedral. 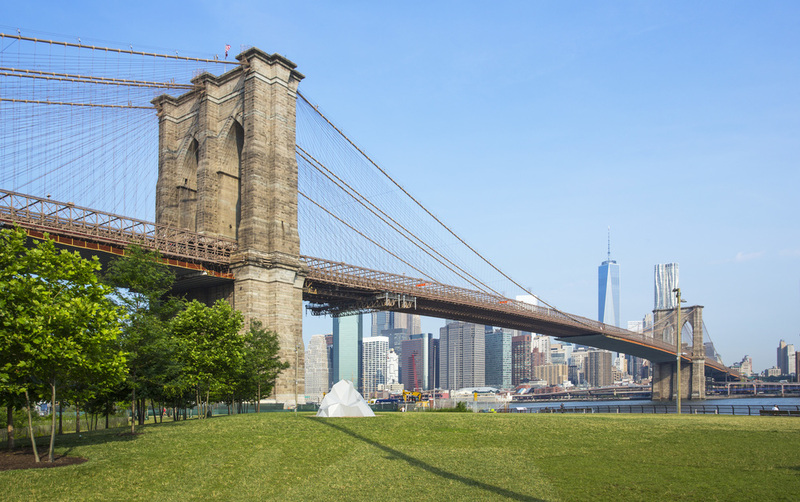 There are also the parks – including the famous Central Park, Brooklyn Bridge Park and lots of smaller neighborhood parks that are great for picnics. Explore the free tour of Brooklyn brewery on weekends (they charge on weekdays). If you’re a shopping buff, explore the Brooklyn flea with hundreds of booths that sell vintage clothing, antiques, collectibles, jewelry, arts and crafts, furniture and artisanal foods. Brooklyn Bridge Park’s six piers offer travelers top views of downtown Manhattan and New York Harbor, a ferry landing, free movies and concerts during the summer. Just take a walk on this iconic bridge and enjoy some amazing views of the metropolis – absolutely free! It is a trap for travelers, for sure, but this famous landmark is known around the world. Standing amidst the colorful lights and dazzling neon signs at Times Square after sundown can be magical, especially for those who are visiting for the first time. If you happen to be in the Big Apple on New Year’s Eve, don’t miss the iconic ball drop at midnight. The park has served as a location in countless movies, TV shows and books and hosts events throughout the year. 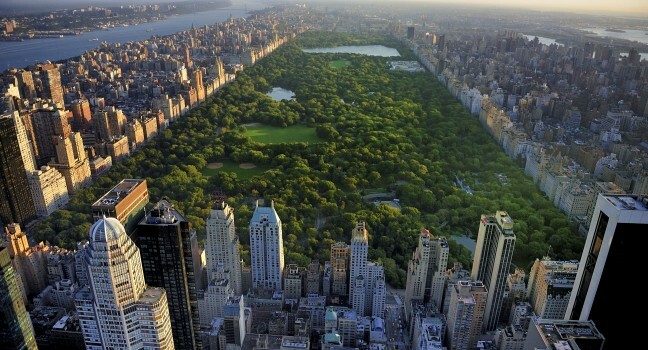 The Central Park Conservancy offers free tours of different areas within the park. Sure, it’s a very famous tourist sight, but what many don’t know is that it is admission-free, and the “suggested donation” is just that: suggested. Spend time in the Zen Chinese garden, get astonished at the replica of the Psycho house on the roof, be dazzled by the huge Temple of Dendur, or really do whatever you want. 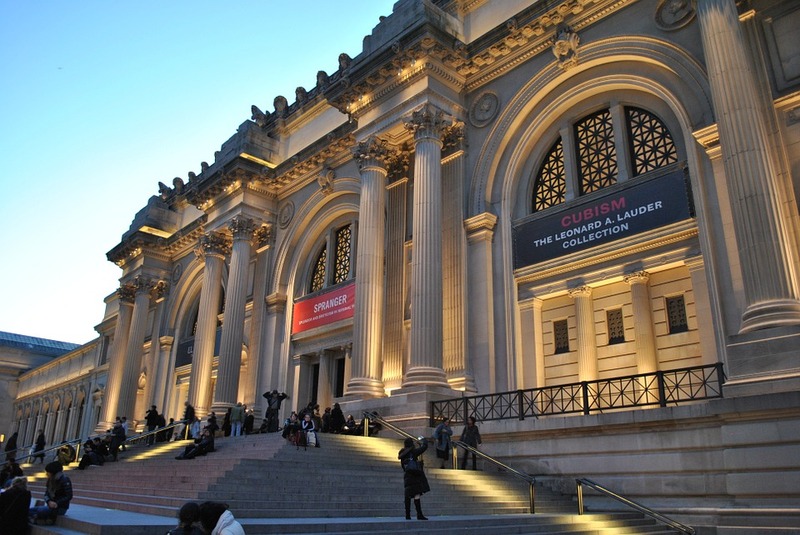 There’s a lot to explore here for art lovers. Also at the MOMA (modern museum of art) you can see the famous Van Gogh’s Starry Night painting for free from 4.30-8pm on Fridays. The 9/11 Memorial is free and open to all. 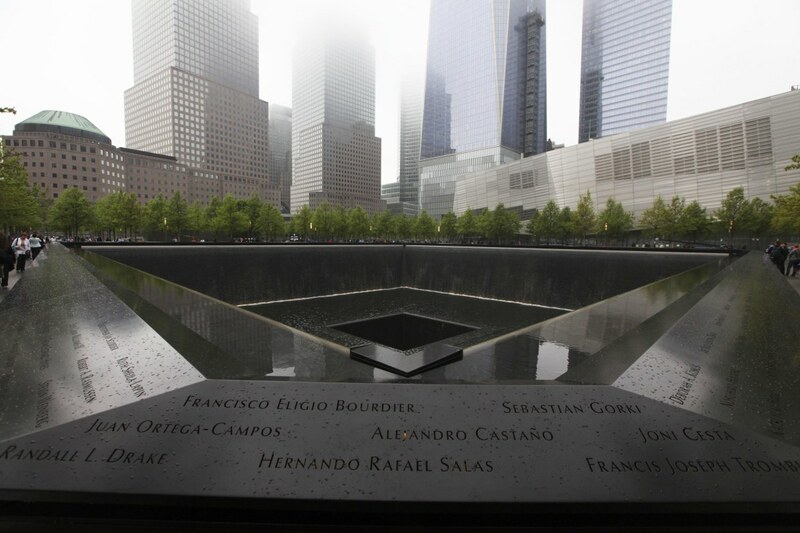 Two large reflecting pools are the symbols of the Twin Towers and honor the lives lost in the tragic event happened. 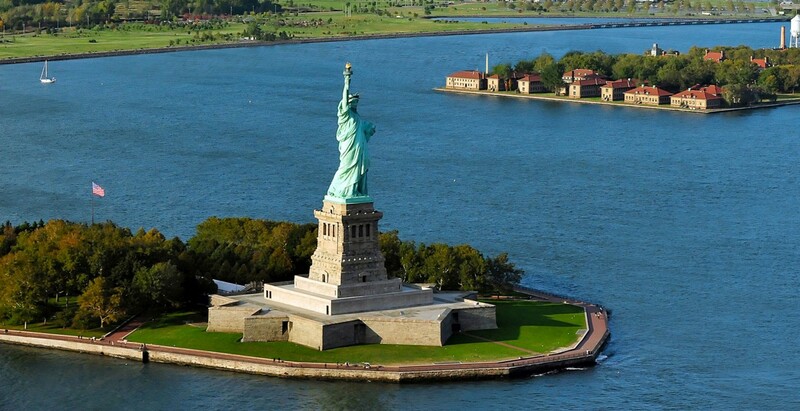 The Statue of Liberty and Ellis Island are both popular destinations for Travelers and one cannot miss. But the problem is they both are located on two separate islands in the New York Harbor. They are served by the same ferry, so visiting them together can take all day. In the 20 minutes’ ferry ride from Battery Park, after about a 10-minute ride, the ferry will stop at Liberty Island (Where statue of liberty is located) first. Whether you want to visit the Statue of Liberty or not, you’ll need to decide. If you want to tour Liberty Island or enter the Statue of Liberty, you can catch a ferry on to Ellis Island whenever you are done. Sign-up today for free on MyTripKarma for the best deals in New York. MyTripKarma is a one-stop-solution to all your travel needs, allowing you and your friends to collaboratively plan, discuss, organize and book all your trips in one place!